Ahead of tomorrow night’s crucial game at the Showgrounds, City boss Peter Hutton has a number of injury concerns. Ryan McBride and Stephen Dooley were both withdrawn due to injury during Friday night’s defeat to Dundalk and are serious concerns for the manager. McBride didn’t train last week and was withdrawn during Friday’s game. Dooley who endured an injury hit start to the season was another victim and was called ashore with a hamstring injury. Hutton will also have to plan without Conor McCormack after his red card as the midfielder will now serve an automatic suspension and is not available for selection. Patrick McEleney is also a doubt and the manager will have to be aware of the fatigue amongst his squad after they played nearly 70 minutes with just ten minutes. Hutton was fulsome in his praise of the side for their performance on Friday as they were the better side for long spells against the champions before falling to goal at the end of either half. Hutton does have attacking options though with the return of Cillian Morrison and Ciaran O’Connor. 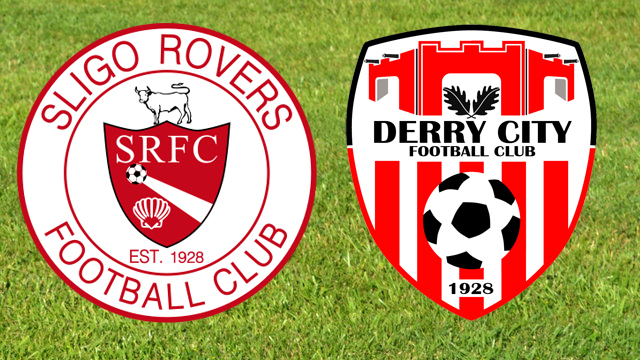 One of the pair are likely to partner Mark Timlin up front as City go in search of vital points in the Showgrounds. Aaron McEnuff made his full debut on Friday for City and will battle out for one of the midfield spots with the likes of Lowry and McNamee. City are in 8th place whilst Rovers are in 11th, but with the league very congested in the lower reaches, a win for the home side could see the two sides switches places depending on results elsewhere. Sligo boss Adams was in Terryland a fortnight ago as City won 4-0 and has commented that he expects that City will be able to challenge his side. However the new boss at the Showgrounds will be cheered by the Friday’s thumping 4-0 win over Drogheda at Friday. The two games between the sides so far this season have both ended 1-1 but as the scramble for safety intensives both sides will be desperate for all three points. City haven’t won in the Showgrounds since 2009. However the Candystripes are unbeaten in seven games against the Bit O’Red and will be hoping that this run continues tomorrow night.